Gavin to attend AAAS "we shall overcome" seminar | Watts Up With That? UPDATE: An AAAS member and WUWT reader relates how he’s finally had enough, and has canceled his AAAS membership today. See below the “Continue reading>” line. Gee, it’s been a crazy day, one embarrassing thing after another for warmists today. I’m sure Chris Mooney will do his usual smear of WUWT during the seminar, it’s always a crowd pleaser. Via Dr. Judith Curry’s inbox. This fall, AAAS is launching MemberCentral, an exclusive website for AAAS members. MemberCentral is dedicated to highlighting AAAS activities and fostering community among our members. To support these goals, the site will feature original content presented as webinars, videos, podcasts, blogs, and more. Featuring panelists Gavin Schmidt, Ph.D., of the NASA Goddard Institute for Space Studies (GISS); Edward Maibach, M.P.H., Ph.D., of George Mason University ; Brenda Ekwurzel, Ph.D., from the Union of Concerned Scientists; and author and science journalist Chris Mooney, this discussion will explore ways the scientific community can combat negative public attitudes toward climate change. Panelists will share their best practices for public and media engagement, debate how to respond to critiques, and explore the idea of reframing climate change as a public health issue. As an audience member you will have the opportunity to submit questions to the panel during the event. A short registration is required to view this webinar. Space is limited and on a first-come, first-served basis. Reserve your space today. Can’t make the live webinar? ” Climate Change and the Public: Overcoming Skepticism After Climategate” will be available for on-demand viewing at the launch of AAAS MemberCentral. Remember what “we shall overcome” used to stand for? I got the invitation today and after 20 years of paying my dues to AAAS it was finally too much–I requested an immediate cancellation of my membership. both sides of the issue. September 16, 2010 in Alarmism, Climategate, Ridiculae, Satire. ← The morphology of "global warming"
I almost wish I was eligible to be a member, so I could, in the fashion of Richard Feynman and Groucho Marx, tell them when to stick that button. In other words, in the absence of credible science, how to use PR as a fig-leaf. This gives a whole new meaning to the term “Advancement” in their acronym. Having received an education in chemistry, I am shamed by the very proposition of such a heinous and reprehensible tactic. You can bet that Gavin’s message of “We Shall Overcome” ain’t gonna be quite like that of Joan Baez, either. Hmmm….they had better put a whole section on the agenda for dealing specifically with WUWT! Because Climategate changed scepticism or because it changed the ‘settled’ science? Out of the mouths of babes…….. They say they will “debate how to respond to critics”. How about instead they figure out how to debate their critics. If there is one thing that has done more to further the skeptic cause it is the refusal of the “consensus” to debate those who don’t buy the party line. My kids know it’s a scam, do yours. If not then why not. Reverse the Education/Propaganda with a definitive statement. My kids know that if their teacher feeds them nonsense then I will go to the school and talk to/complain about the teacher. Whoever chose Gavin for a panel on how to handle PR better had a devious sense of humor. Chris Mooney’s recent hurricane book actually wasn’t too bad, compared to Heidi Cullen’s sci-fi thriller that sold zero copies. What a minefield they are throwing themselves into! Except for Gavin who was a figure in the ClimateGate email “leak”, the others will only be able to spout their typical liberal talking-points and have nothing insightful or useful to say about ClimateGate. “debate how to respond to critiques” — I guess the standard operating procedure of “openly and honestly” will have to be debated. This conference is taking place in September. Don’t these professors have students to teach, and work to do at their universtities? Doesn’t Gavin have anything to do at Goddard other than organize communication conferences and run RC? I’m sure they will all talk to each other there, console each other, and feel a whole lot better about the miserable situation they’re in at the end of the conference. I don’t know who’s idea it was to link, in any the old “We Shall Overcome” ALCU slogan to this seminar but as one of those who was in the streets of Chicago in 1968 and on the Univ. of Wis. campus before that, I am pissed by the doing. I am sure that was not the intention and I love satire almost as much as geology. On this one perhaps just a little sensitivity please. From the AAAS website; “What we do. OK, so how does this fit in? Why are they addressing the public in particular? Why ‘overcoming’? If this is a science organisation, why not just “Skepticism After Climategate”? So AAAS is an advocacy group? Imagine Joseph Priestly discovering oxygen and the phlogistonians having a love-in to develop a reframing webinar to work out strategies to win the public back to the phlogiston camp. I guess this is progress. In the 17th Century the consensus just simply threw you in jail if you questioned the dogma. Not to much progress mind you. Hansen and Suzuki did wish for these good old days in proposing trials for crimes against humanity for CAGW dissenters. Hey I just had a revolutionary idea – let’s have an honest, scientifically supported debate. Naw that’s stupid, it probably wouldn’t even happen. Ahh, Joan, one of my first favorite whack jobs. “The Day They Drove Ole Dixie Down” is my favorite of hers. With Gavin? Really? What do you bet they screen(moderate) first? I’ve heard it all now. But their panelists are the people that caused the skepticism and negative public attitudes………. this discussion will explore ways the scientific community can combat negative public attitudes toward climate change. Panelists will share their best practices for public and media engagement, debate how to respond to critiques, and explore the idea of reframing climate change as a public health issue. postmodernism science in it’s finest hour………..
One of the reasons I dropped my AAAS membership after 20+ years. Scientific American and National Geographic are not being renewed either. I will pay to receive scientific information but I’ll be darned if I am going to pay to receive propaganda. The “Union of Concerned Scientists” has the strong odour of a union of government employed losers. Like a “Government of All Talents” (GOAT), in the case of climate warming/change etc, this means academic obfuscation, bickering and confusion. Unbiased and unthreatened scientists – i.e. mostly those scientists not employed by government – will treat this with attempt to stifle scientific debate with the contempt it rightfully deserves. Tell the truth, and if you can’t, or won’t, hire some professional PR people who’ll at least make it sound convincing. Gavin’s done wonders for creating scepticism simply because he has no clue about PR and when pressed, shows weaknesses in his chosen subject. Insulting and deriding your audience has seldom been an effective way to win friends and influence people. In this case, Aldous Huxley’s metaphor would seem to be right. They keep trying to stitch together a believable tale of an evil and polluting humankind pushing the planet earth to the brink of unrecoverable disaster. Great riches are wasted on this panoply of inaccurate data, subjected to biased adjustments, spliced with inappropriate proxies, guilefully graphed using Mike’s nature tricks, and stitched together into the IPCC patchwork quilt of crackpot science. Unhappily for the Gavin Schmidts and Mike Manns et.al, basic facts, fundamental truths, a growing public awareness, and persistent investigations by many of the stalwarts found on this very web site cause their sloppy stitchery to keep unraveling. Ending IS better than mending, regardless of what they name this futuristic fraud! ‘Deep in my heart, I do believe we shall overcome someday.’ Yes. Explore? Hasn’t it been done to death already? I suppose they must, being so desperate. Of course, they could always just go with the truth. Start by suggesting how climate change benefits the public. Then the public will develop a more positive attitude towards it. ‘Deep in my heart, I do believe we shall overcome someday.’ Yes…..Yes. and from the crumbling Obama White House comes the new ‘preferred’ term to replace ‘Global Warming’ . It is now to be referred to as “Global Climate Disruption’ . I’d laugh if it wasn’t so sad to see 1984 become reality. Although I must admit, this is far more easily defended than ‘Global Warming’. What exactly constitutes ‘disruption’? You can pass off almost any change in the climate as being a ‘disruption’. Any storm, hurricane, tornado, snow storm, can easily be described as a ‘disruption’ to the existing climate. I really want to see someone debate James Cameron, what ever happened to him…not a word since he squirreled off to his mansion after mouthing off about having it out with skeptics at high noon.. I canceled my subscription to Science News for much the same reason. SN is extremely one-sided and pro-AGW. It’s despicable. All of the once-great “science magazines” now, quite frankly, stink to high heaven. After much contemplation of the various findings of the GWPF report, you know what would really help in terms of regaining the public trust after Climategate? I cancelled my UCS membership this week too, for the same reason. Just put a comment on JC’s site concerning AGW and the post was unaccepted without comment by the moderator. I would say that they definitely don’t take to the “negative view” there and that will be the last time that I pay a visit to that site. Yes, the public’s health is in danger, not from climate change, but from those who want to forceably change climate over what amounts to an obsessive compulsive trend disorder. Ha Lance, I beat you to it. Glad that you registered your contempt for them. They should be an advocate for the honest broker of scientific fact. No more, no less, no matter where that leads. Unfortunately, we are seeing too many editorial staffs of previously reputable organizations and magazines being hijacked by the moonbat crowd. Its also why I stopped attending Quaker meeting. They were becoming more of a political organization than a religion. Foo therefore be apon them. You have never seen a collection of moonbats that resembles the Longfellow Meeting in the People’s Republic of Cambridge. It astounds me that they have gone so far off message. I hit the link to Judith Curry’s site. Climate etc seems to be attempting persuasion by sheer fatigue. After a long string of verbiage containing “dynamic of disagreement”, “real debate”, “context of a rational backdrop of etc etc”, the reader must press on through the wiki definitions of common words, to an Italian flag meant to represent some simplistic abstraction, ostensibly to do with that “dynamic of disagreement”. A favourite word there is “postnormal” – sometimes hyphenated by the less cool and au fait, but not by our Judith. I think it means people like me, who have trouble wading through a paragraph of the lady’s oblique and endlessly discursive prose. At one point you get: “Now back to the science.” A false dawn! Because then follows a blurry discourse by someone called Feymann about how some stuff is uncertain, and there are degrees of uncertainty, and…do you really want to know? Anyway, after that comes the wiki definition of “doubt”, and a revelation by our Judith that doubt is different to denial (dictionary link! )…all of which is a lead-in to the Italian flag thing. Words like “spectrum” and “analysis” get a good run here, as well as some columns of percentage numbers, just to keep us in a scientific mood, and to make sure we don’t start thinking about insalata mista. Let me tell you, there never was such an exercise in learned absurdity as Judith’s flag. Someone’s got to tell her. I’ve been commenting a lot since Judith Curry and Thomas Fuller have been prominent on WUWT. The reason is that I can tolerate the fulminations of a Calvinist blusterer like Bart Verheggen, because he is, at least, direct and sincere. But these talk-you-down lukewarmers (whoops, sorry about the tribal tag!) really are a piece of work. If you can ever arrive at their meaning, it seems to be no different in effect to that of a fanatical warmist: taxes, inferior energy supply and an ETS. That’s if you can ever get to their meaning. As a lay person who usually just lurks and reads, let me say I love WUWT, and I don’t doubt (or deny) Anthony’s judgement in inviting people like Thomas Fuller and Judith Curry to make guest entries. It’s probably a good thing. So my criticism is directed squarely at the circularity and manipulation of language practised by some. It’s probably been a good exercise to wade through these verbal swamps, but maybe I should these “authors” a rest. In fact, I will give them a rest. When they show up, be sure to wear your Nomex gloves. They’re hot alright — about 860 F (460 C). It’s entirely understandable that Mr. Wallace would cancel his membership. But it is a shame to lose someone who could fight the madness from the inside. I really have a problem with how their primary concern is just getting people to agree with them. It is not about the science and whether the theory is correct; it is just about convincing people. Why not just prove it. Most people can accept proof. Is it that it is just too hard to prove or that there is just not enough evidence to prove it. Well, that makes it a different problem then. First I dropped my membership to the American Chemical Society because of the ineptness of the editor of C&E News, Rudy Baum. The other day they sent me an email “inviting me back”. I suggest that once Baum was gone, I might reconsider. I took solace by joining AAAS, only to find, shortly after joining, that they were just as bad as the ACS. I dropped those AAASses as well. Both of these agencies are “supposed” to be objective and scientific in nature. Both, however, seem to think it more important to foist their political diatribes onto their members. Well, not with MY money, any way. Since Gavin’s leading the panel and it includes a Q-and-A session, I would imagine anyone who poses an inconvenient question will quickly disappear. No it is best to just separate your self from the belligerently ignorant, religious fanatic, AGW disillusioned, megalomaniac egocentric fools, and the political activists, of the world till they calm down, and reason returns then just educate them to the truth, when they ask for it. If left to coagulate together they soon form a clot, dry to a scab, and slough off. Picking at them only slows the healing process, and exposes you to the disease. Another inconvenient article picked up by ABC News Watch. These ‘negative attiudes’ keep popping up, don’t they? Haven’t the authors realised that the science is settled? That’s rich. The negative public attitudes are towards them, not climate change. They’re the ones that have earned the distrust, the skepticism, and the negative attitudes because of the way they’ve attempted to manipulate the public with shoddy, politicized science. They are a blot on their profession. By contrast, the climate hasn’t done anything to offend us. It’s been minding its own business as it has for eons. We’ve never thought it was static and it never pretended it was. We’re on good terms. Paul, as a member of the ACS, I can tell you it’s an uphill battle. These organizations are run partly by “professionals” who get paid a pretty salary and therefore are highly motivated to protect their turf and partly by activist volunteers who have plenty of time to promote themselves. Members with full time jobs generally don’t have the time to figure ought how to play by their rules. This blog here gives you an idea of the salaries paid out to the “staff”. I stay a member because I had set up some insurance and investments through their member services and because my employer pays my dues. Guess what’ll happen when I retire? So what the hell did I do that got me disinvited; or not invited as the case may be. I’ve paid my dues; and religiously read every issue that has come in my in basket; as well as reading the online e-mail contents and latest news. Well I can understand Lance Wallace’s point of view. I would do the same; except I believe in keeping the varmints where I can see what they are gnawing on; so I will keep my dues current; at least it lets me get behind the paywall when that is desirable. Looks like the AAAS is trying to avoid unconditional surrender. Changing the name of the mission, does not change the intent. Excuse me for off topic. But, did you notice that sea level rise has been running below the mean for about 3 yrs. Soon it will be time to adjust the mean rise down. Well back in my innocent youth; I had the distinct privilege of going to a live performance by the wonderful Irish Folk Singer Mary O’Hara, with her Irish Harp. So when Joan Baez came on the scene; well I had already heard that all before so it wan’t in anyway revelatory to me. And Mary O’Hara didn’t have any messages; just a joy of pleasant folk dittys. Now of course there’s whole generations who never heard of either Mary O’Hara or Joan Baez; so as you can imagine, the woodwork is sprouting a new generation of similar copycats. Speaking of which does everybody remember that twice Governor; would be illegal three time Governor Moonbeam Brown used to have the hots for Joan Baez; or vice versa as the case may be. It simply amazes me that the AAAS can simply relabel the issue from “Anthropogenic Global Climate Warming” to “Climate Change”, and yet not understand why people don’t trust them. If you go back to the papers from the ’80’s, ’90’s, and early ’00’s on the subject, there is NOTHING about “Climate Change”, it is all about warming. Not working out so well for them, eh? The AASSS has gone too far this time. Accusing Chris Mooney of being a journalist? I’m waiting for the day the whole audience boos and hisses. (e) do you think they have done any different with your money all along? These people feel ClimateGate is their only problem? What has been put in their place? Certain bloggers have been evolving their sites to offer more of their fields in depth and have attracted other professional and enthusaiastic non-professional commenters all of whom offer a plethora of links. Of course, some of the best began commenting on WUWT. This is the real thing! My Favorites list is growing for daily reading, and my pleasure and educational meters are at all time highs. I think, Anthony, WUWT is one of the first developed on that model. Have to apologize as Curry’s moderator did post the comments, just didn’t maintain visibility while moderating as done here and had a very long lag time. I concur with mosomoso and pyromancer76. I now check to see who the author is. I started to not read Thomas Fuller’s posts. Incidentally, I never belonged to AAAS, but I did subscribe to SciAm for about thirty years. But several years ago, I let my subscription lapse as SciAm went overboard for global warming. From a debate on how best to respond to critics, the first thing should be a statement of the hypotheses that explain AGW. These would be the hypotheses about cloud behavior, and related phenomena, which explain how atmospheric CO2 causes positive feedback that raises temperatures beyond what CO2 alone can do. Of course, they cannot do this because they have no such hypotheses. As Gavin Schmidt has always said, “You don’t need a weather man to know which way the wind blows.” Unfortunately, you need an advanced science to explain cloud formation and Gavin doesn’t have one. Anthropogenic Global Warming – Global Climate Change – Global Climate Disruption is not only dead in the water but sunk. Phlogiston rules. They pretty much do what they want because they know they are not responsible to anyone, least of all membership, for their actions. After all, they are the elite. National Academy of Sciences, the Royal Society and others are also firmly in their grip. It is a result of relentless pressure for more than thirty years by environmental groups. The warming hysteria really got going in the late seventies, just about the time an astronomer resigned his position with the NASA Pioneer Venus mission and joined NASA GISS because “The composition of the atmosphere of our home planet was changing before our eyes, and it was changing more and more rapidly.” The year was 1978 and GISS immediately assigned him to develop a method of for estimating global temperature change that was needed at the time. There had not been any global temperature change for more than twenty years according to NOAA’s temperature chart and even in 1975 both the New York Times and Time Magazine were talking of global cooling. But lo and behold – temperature started to go up immediately after that method was implemented so that this astronomer could testify in 1988 that warming had started, thanks to carbon dioxide we were putting into the air. As you might have guessed, his name was James Hansen. His testimony was a publicity stunt set up by Senator Wirth on the warmest day of the year who arranged for more than ten TV cameras to be present in the hearing room. That night global warming was on every TV set and the current warming craze got a giant step up in the direction it is going now. By the way, my book demonstrates that the warming he spoke of was faked. No, Sean, I have to disagree with you on this one. Debating has never help the cause of the warmists and it would not help them now. When considering the decline of the “consensus” on climate change, we would be better off not to wonder why it is collapsing, but why it has taken so long. One reason it has taken so long is that it’s proponents have–for the most part–refused to come out in the open and debate. Skepticism is double plus ungood. Belief in Authority is double plus good. Should any of the scientific and professional societies I belong do this kind of thing, I would also cancel my membership. Lance, don’t give up your membership. If all skeptics leave the organization, there will be no internal brakes, and the organization can use its substantial clout to manipulate public opinion to everyone’s detriment. Personally I think that we are very lucky to live in this time and place. Note that never before have the operations of political power and control been displayed in such a blatantly obvious way. The innoculating effects on those watching this must be enormous. Political propaganda and agitprop techniques only have power when they are not seen for what they are. Gavin Schmidt, Ph.D., of the NASA Goddard Institute for Space Studies (GISS), if you really wish to “Overcoming Skepticism” how about actually attempting to prove your case with OPEN SCIENCE that can be independently AUDITED by anyone who chooses to? How about providing all your raw data, manipulated data, reasons for said manipulations, data sensor processing programs with source codes, internal notes and memos and emails and papers, all models and their sources plus all copies of all test runs of said models including all the times they didn’t fit your agenda driven science, plus you MUST STOP using “interpolation” of data which is essentially FABRICATION OF DATA (1,200 km diameter of area with one temperature station – sheesh give me a break) which is – in the world I live in – tantamount to criminal FRAUD as your fabricated data shows up in graphs and reports that your GISS organization uses to obtain funding from the public purse. The list goes on but that’s a start. Get back to me once you’ve undertaken these steps. I agree that holding this web seminar on PR is not only silly, but somewhat demeaning to the scientists (and to science). The climate scientists should just ignore all the media noise and trust the very excellent experimental work they are doing. It will prove itself in the end. You can smell the desperation from here… 1/2 a world away. I am a long-time member of AAAS and I’m less than impressed with this pseudo-science organization’s baloney about global warming. The only reason I have not cancelled my membership is that this organization occasionally does publish items of real significance to science. Forget the likes of Orekes, Mooney, and Schneider — all they do is publish neo-stalinist baloney, you know, the kinds of stuff we used to read in publications like the New Masses back then and in the Nation, the New York Times and the New Republic today! AAAS is a lobby group. The advancement of science requires money to pay scientists to advance science. And there’s been no gravy train like the CAGW train. They’re just doing there job. And, hey, the public health angle is, at least, mildly creative. Government funded science concludes we need more government to fund more science. Who knew? They say they will “debate how to respond to critics”. Show up with hard, physical, empirical evidence that CO2 (and other GHGs) will cause Catastrophic Global Warming, and that CO2 and other GHGs are being primarily increased in the atmosphere by human industrial activities. Ignore sceptics and hope they go away. Use ad-hom attacks, and smear sceptic’s reputations. Claim that sceptics are all in the pay of Big Oil and Big Tobacco. Claim that sceptical science has not been “peer reviewed”. Claim that the majority of scientists support the consensus position and therefore it (CAGW) must be right. Claim that only the UN IPCC has the right science on climate and that disagreement with the UN IPCC is simply mis-informed. Claim that scepticism is “too risky” – after all, the world is at stake and “something must be done.” If asked what must be done, propose carbon trading. Claim that scepticism is “too risky” – after all, future generations (our children’s children) are at stake and “something must be done.” If asked what must be done, propose carbon trading. Claim that scepticism is “too risky” – after all, Polar Bears and Penguins are at stake and “something must be done.” If asked what must be done, propose carbon trading. Claim that scepticism is a mental health issue – which neatly dovetails with the idea of reframing Man Made Global Warming as a public health issue – and hence supports two objectives at the same time. Claim that scepticism is a conspiracy to establish a tyranical global government that will enslave the world with a statist ideology that will result in massive human impoverishment. Guess which option will not be debated. You can switch off now if you work in private health delivery. So does the Mafia, not? Hang on a minute, will they charge public servants to be innoculated against climate change or will taxpayers have to foot the bill? It is always possible to do more good from the outside than the inside. To demonstrate this, ground troops would be calling for air support. If the consensus folks have good evidence to make a case, and there are certainly data out there to support some concern, then they ought to appeal to people’s reason rather than standing on authority. The few “debates” that I’ve seen have have either been filled with condescention, staged for “real experts” to gang up on a political hack (sometimes with comical consequences) or mismatches between groups of people talking past one another. The most interesting technical exchange I saw recently was between Ken Trenbreth and Roy Spencer over at Roger Pielke Sr’s blog discussing the total ocean heat content. They attacked the topic with short and long wave emissions data as measured by satellites, both complained about the precision they had to work with to get a proper energy balance and they passionately presented their positions. They did not talk past one another. The exchange was dissappointingly brief and left me wanting more. If Trenbreth wants to move me to his position, he has to go head to head with other scientists and carry the argument on the science. Climate science is a marvelously interesting and complex. I think we have just about reached an interesting fork in the road in the evolution of the climate. If the AGW people are right we should continue to see more warming over the next 10-15 years. However if the solar-ocean natural cycle people are right, we should see measurable cooling. The AGW debate has resulted in unprecendented monitoring of the climate system and a an opportunity to observe how it reacts to a couple of major perterbations. We live in interesting times. If the AGW people are right we should continue to see more warming over the next 10-15 years. 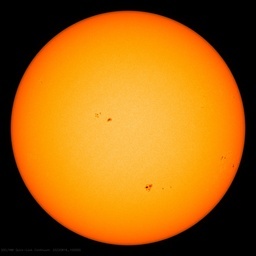 However if the solar-ocean natural cycle people are right, we should see measurable cooling. 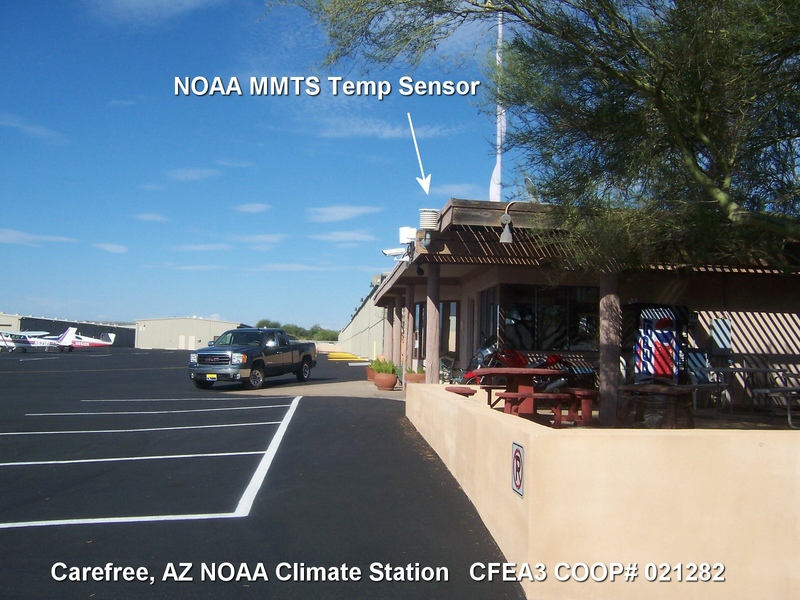 The AGW debate has resulted in unprecendented monitoring of the climate system and a an opportunity to observe how it reacts to a couple of major perterbations. We live in interesting times. Bravo! Climategate and the IPCC are going to get a proper investigation starting in just a few months. Those scoundrels will not get away with it. “Dearly beloved, we are gathered here today to discuss how it can be that we seem to be failing when we so clearly have God on our side. I beg each and every one of you not to lose faith, but even more, not to fall into the sin of despair. “This is but a test sent by Him Who Is The Source Of All Warmth on our little and precious planet. The venom of the iniquitous snake that appeared last November and bit hard into the jugular must not be allowed to debilitate our congregation. “What’s that, my brother? You ask if we might not perhaps start listening to what these malaflicted wretches are saying and engage with them, honestly addressing their calumnies with persuasive rejoinders? But my brother, I say unto you that this is no part of the dream. The Law will not brook disputation, is what it is, and ever shall be so, however alluring the sly words of the serpent. “Yea, though we be struck down an hundred times, we shall arise in new forms and fight the good fight. We shall never, never, I say, be defeated, and Right shall be our invincible protector. We SHALL overcome. It’s good to know that Gavin is earning his six figure NASA salary. And from my online research, he also got a whopping big raise in 2009…no doubt in honor of his blogging efforts on government time. Well hopefully someone will be left in AAAS to attend and report on the panel. We don’t want to lose the star power. AAAS is a lost group. Finally, be particularly concerned when you see the phrase “public health”. In California it is raising its ugly head to apply non-specific, qualitative and subjective judgement to bear to arrive at a determination of the impact of virtually anything on obesity, asthma and other public health issues. It is being used to justify the spending of many $’s in compensation to communities for the non-environmental causes of community despair. It is as tricky and gimmicky and unfounded as any global climate disruption argument ever presented. And its all in the name of public health. You may be thinking of Linda Ronstadt. I don’t recall Phony Joanie and Moonbeam being an item, although anything was possible in those days. Actually I think this alarmist pow wow is a good thing. Whenever they get together about “better communication” or “better information” or “explain the settled science in laymans terms”, they dig themselves in deeper and more people switch off. These “twits” have had billions of dollars and almost every government on side for over a decade yet they still can’t make inroads. One more “Ar*se sniffing” session won’t matter. They should be looking for ways to combat negative climate scientists’ attitudes toward climate change. Finally, be particularly concerned when you see the phrase “public health”. Did you mean the new age public and population health urban planner’s ball? “Once upon a time, when dogs ruled the earth, a gala dog ball was organised and all the dogs in the world were invited. When the dogs arrived at the ball they checked their tails in at the cloak room, as was the custom in those happy, far-off days. It was a wonderful, glittering occasion and all the dogs, regardless of breed or background, danced the night away and were thoroughly enjoying themselves until suddenly the fire alarm sounded. The ballroom was alight and an uproarious panic broke out. The vast yelping pack stampeded to the cloak room and in the confusion the tails were mixed up. I have finally solved the riddle of their acronym, the triple A society, now so far removed from any fuzzy likeness to the triple 9 society. Anthropogenic Anabolic-Androgenic Stupidity, er sure Society, and somehow that is actually short for alarmistas estúpido. Well they know how to create an unbiased panel – not! Where did they learn this technique? From the BBC? As a non scientist I was wondering what AAAS stood for. Went to Google search and found “American Association for the Advancement of Science”. I find it most depressing that such a distinguished organisation with such an aim could indulge in this type of blatant brain washing. Hmm, after three whitewashed “investigations” into Climategate over here, I ain’t holding my breath. Our Gav is so ,it just seems that it is only in the US of A that he gets any recognition. I says to him Gav your time will come when the holier than thou Charles Windsor sits on the throne of England. You will become Lord Gav of Carbon Capture and will have all the recognition you deserve. Am I the only one who could never stand the sound of Joan Baez, whatever she was singing? No Dave – you are not alone. I have been a Nat Geo fan since 1965 and kept every edition until we moved a few years back. I cancelled my subscription last week and explained why. No answer and not likely to be. I am continually amazed that scientists and organisations comprising educated and smart people are so pig headed and anti-science as to ignore all, every bit of evidence that points to natural variability of climate. These people should not get another job based on their lack of honesty and scientific endeavour. Here in Aus the complete staff of the CSIRO should be sacked. Debate – shutting up (verbally or physically) any who disagree. Warmistas are going to reframe cc as a pubic health issue: PHIFIGLEAF. Because the first two didn’t work apparently. And neither will this. First of all, it’s three words, and secondly, they don’t exactly roll neatly off the tongue. That adds up to one big fat TV reporter fail. So, comments are now open to SDA reader suggestions for a new Big Scary Name for the coming fourth stage of morph. Winners will be announced Monday. Keep it clean. I wonder if they’ll set up offices in the Ground Zero Mosque. Seriously, it does look like some sort of global meltdown. I somehow always knew you were a kindred spirit, Jimmy. How is it possible that educated people, however driven by their passion to be understood, could produce such an inane manifesto? ’cause “global warming” isn’t scary sounding enough. I’m sure we’re not the only ones. In my worst nightmares I’m being forced to listen to Joan Baez singing with the accompaniment of Kenny G on saxaphone and Nigel Kennedy on violin. Some citizens are more equal than others – I guess some scientists are more scientific than others? I humbly disagree. IMHO it’s because, according to Jones, we have had around 15 years of statistically insignificant warming. Furthermore, regarding CC, many of us have told Warmists that the climate always changes and they are actually talking about the weather. Unfortunately one more example of politics deciding what the science should say. All science is suffering from this cabal. And Bob Dylan on the mouth-organ. At this point, instead of “global climate disruption” why don’t they just call it “New Coke”? Will probably fare just as well with the general public who is no longer falling for their bull(snip). The desperation is palpable. Good pals! we are building a nice big house for all of you to enjoy or…do you prefer perhaps drinking a specially formulated beverage for total oblivion?. You will like it, it’s Kool-Aid flavored with natural arsenic. I think it should be called “global climate science disruption”, and the “climate scientists” are responsible for the disruption of science about climate. Any disruption certainly isn’t obvious from the facts about climate. Besides, there is obviously an effort to distort the facts about climate that is global in scale. This is the “Interesting Times” we were talking about, time ago, here in WUWT. Buy more popcorn! Trofim Lysenko would be proud of how the AAAS is carrying on his work, no? so retraction of the comment of Slip Slop Slap……………. , at least for us that use zinc cream, take our eskies and ice to the beach and surf. And wear polaroids. I thought extrapolation from Met Bureau findings to studies on southern penguins and thence to human activity was the basis of the ozone story. Any hints? Problem 1: Excess CO2 being placed in the atmosphere by humans. Solution 1: Do not open bottles of Champagne. Problem 2: AGW must be reduced. Solution 2: Anthropogenic Global Wobbling is caused by Hip Hop Dancing. We must turn down stereo volume and imprison all DJ’s. Actually the other day on NPR ( National Public Radio) there was brief mention that overweight people contribute more to AGW than normal weight people. The witch hunt is trying to get some traction. I do respect Gavin because he is willing to debate the skeptics. But the Gore ‘Science is Settled’ statement puts Gavin in the difficult position of being either a good scientist or a good soldier. He chose soldier, walking the line as best he could. I do not think that the science is settled.